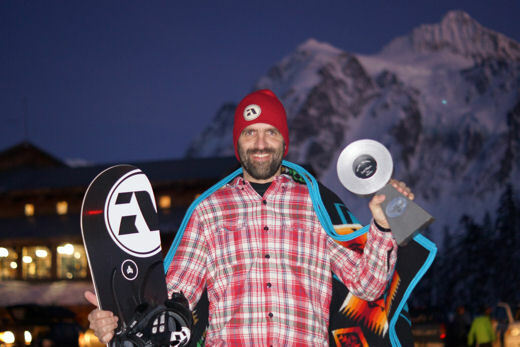 It’s been four years since Peter competed in the Mt Baker Banked Slalom, but it seems he’s still got the magic, clocking a 1:37 on one of the most physically demanding courses to date. It wasn’t fast enough to take top spot in the Pro Masters category but second ain’t too bad! Here he is with his roll of silver Duct tape, the UNW8 he piloted and a smug grin.